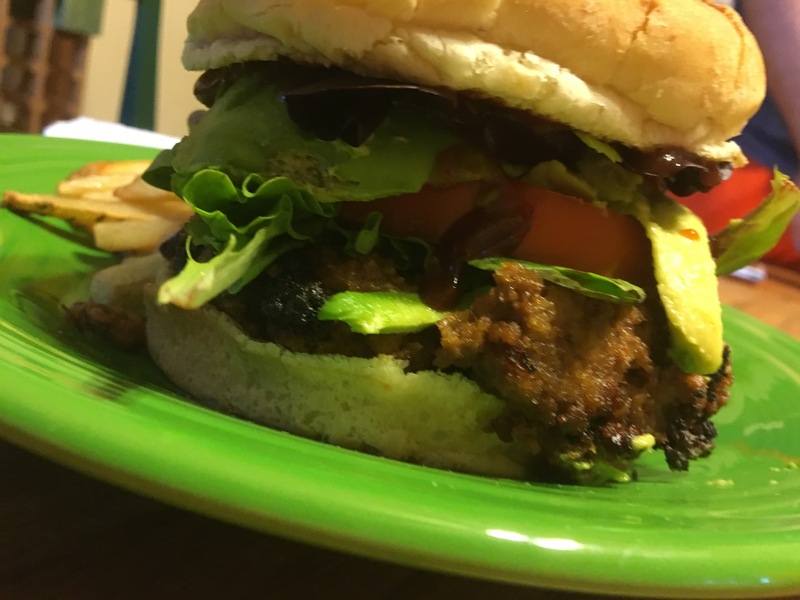 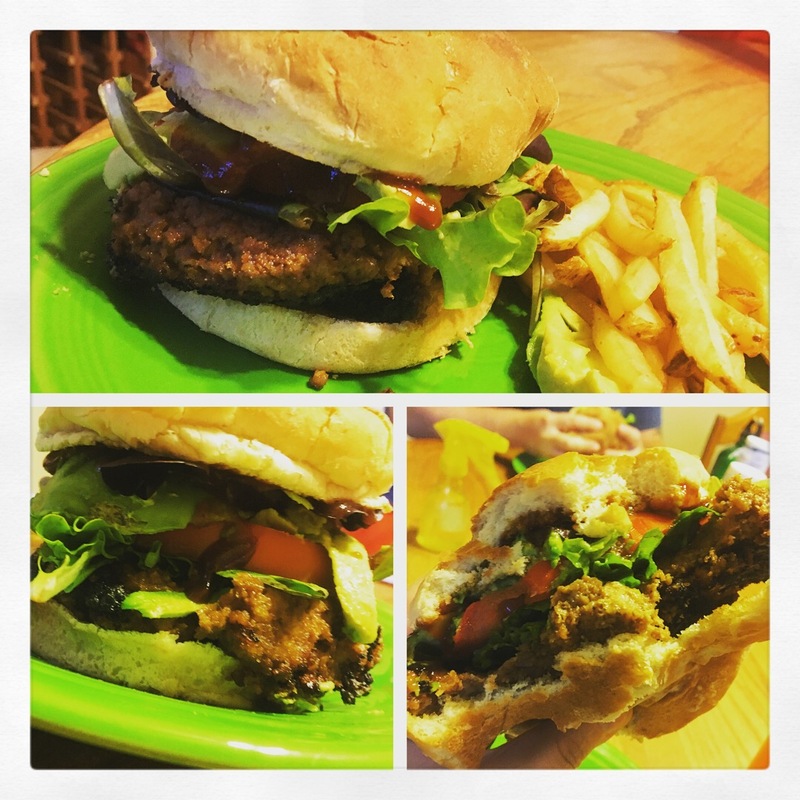 Tried two different recipes this past month with veggies burgers. 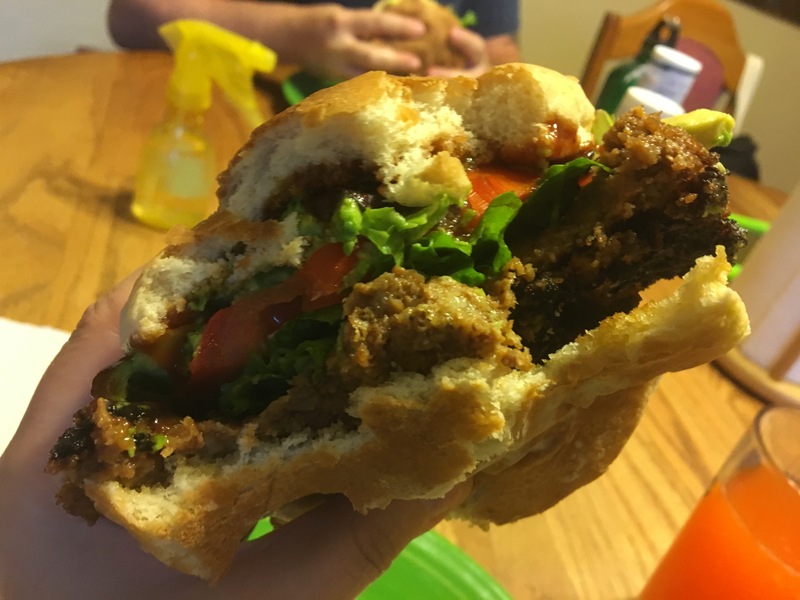 One was this recipe: http://followyourheart.com/recipes/cheese-stuffed-big-daddy-burger/ It was neat having a stuffed burger, but it ended up a little dry. 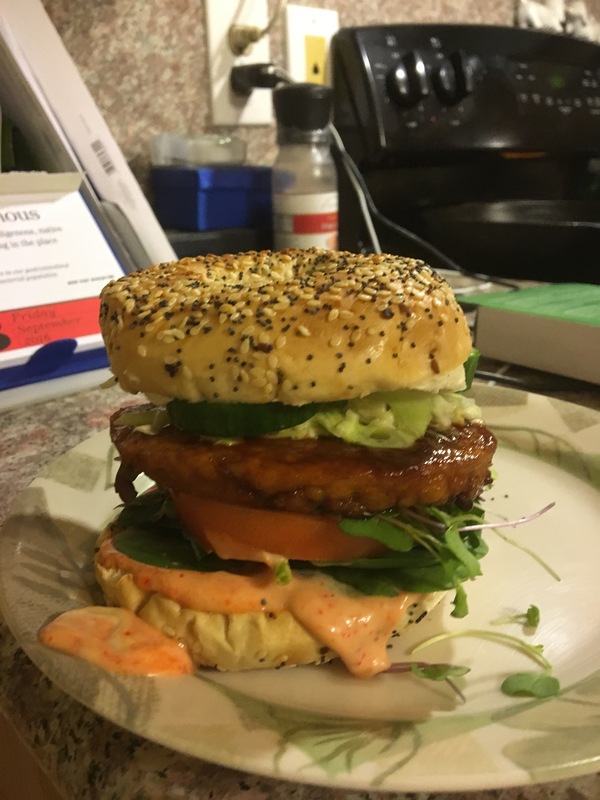 I used a tofu patty and looked up a quick marinade to fry it in, but it was really the amazing toppings that made this burger. 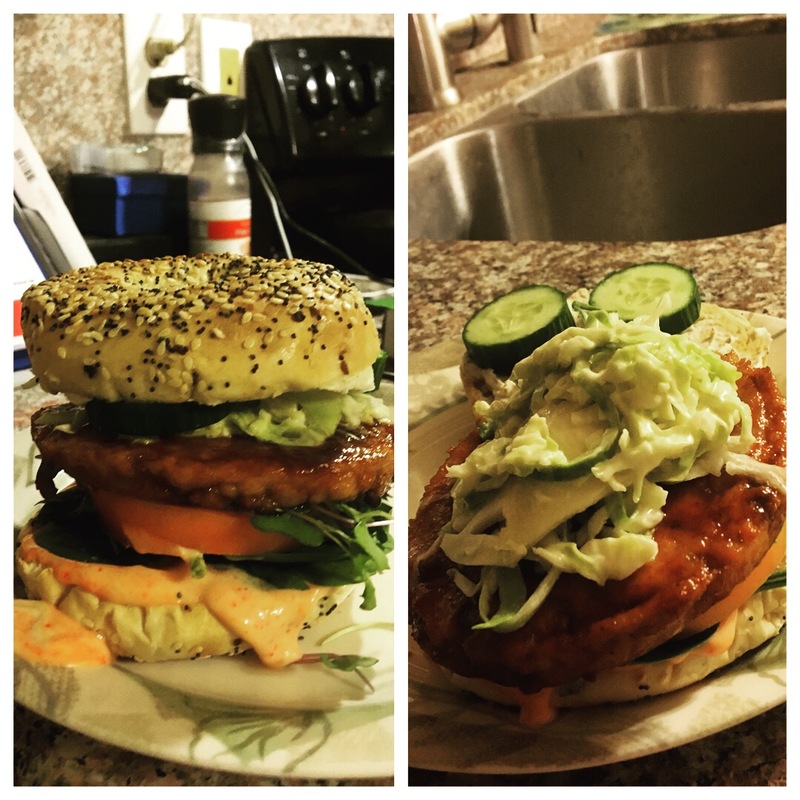 I served in on a bagel, and in order from bottom to top there was sriracha mayo, spinach, tomatoes, sprouts, the burger, slaw, and then cucumber slices. 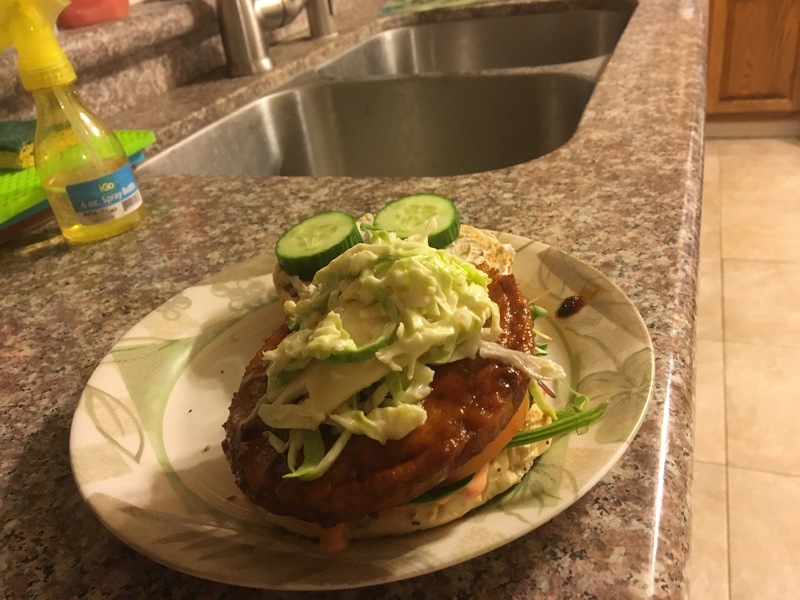 I also converted the leftovers in to a salad which was delicious.